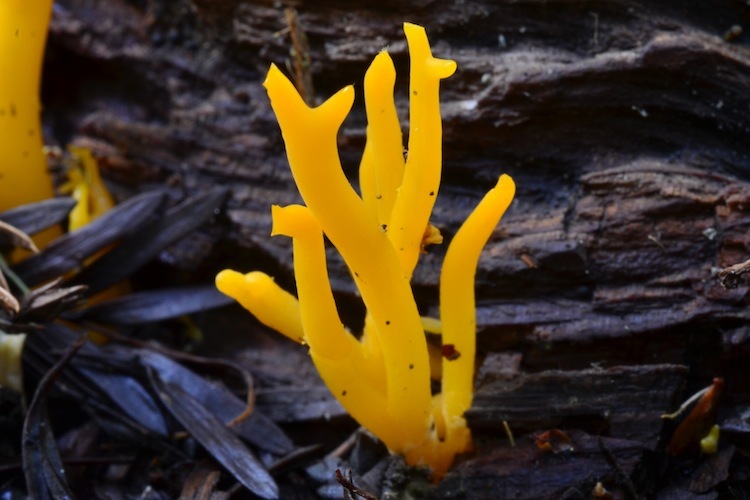 Calocera are easily recognized by their gelatinous texture, bright yellow color, cylindrical or antler-like or branched coral-shaped fruitbodies, and growth on wood (usually decorticated). Only two species occur in our area, so identification is straightforward. Whether or not the species names currently applied to these two taxa are appropriate (they were described from Europe) is open for debate, but little or no critical comparison has been done. 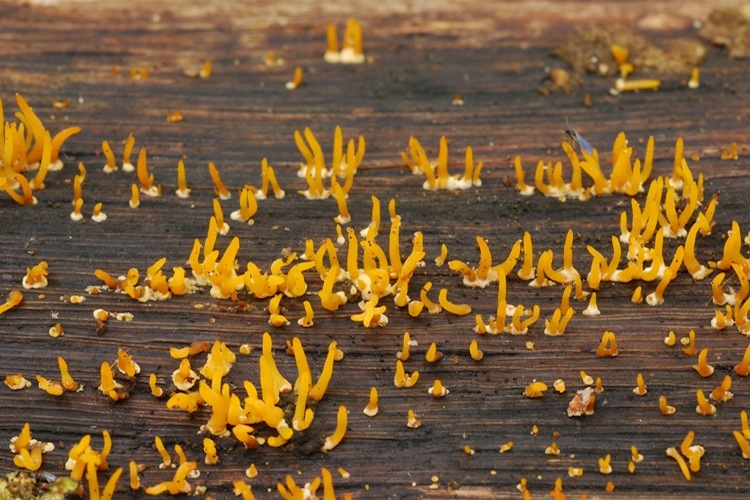 Identification in our area is simple, hinging on simple or branched fruitbody structure.